Description: Multiplayer Bridge Sim using HTML5 for clients. I found the Facebook page a while back, but at the time it seemed to be dormant (if I remember correctly). Looks like there's been a lot of progress since last time I visited it. Hello everyone. I'm the lead developer of Hydra: VCS (Vessel Command Simulator). I can tell you the game is very much in active development status. Our next convention appearance will be at MarsCon from January 17th-19th. We plan to be streaming live from the even as we send crews on 30 minute missions throughout the con. Here are some details about this project (feel free to copy this to the main post above). - This is the only PC required. It runs as the Vessels 'main computer' and powers the 3D display on the main screen. In a multi-vessel game, there would be one PC per vessel. - Content on all consoles/displays uses HTML5 for (WebSockets, Canvas and Audio) delivery. - Native app for iOS/Android will be made available (acts as shell for the browsers, removing all toolbars and making the display full screen. Also disables power save features to prevent display from going to sleep. - Each 'Vessel' can have it's own console layout (in the case of this project... Human vs Alien, older ship vs a new refit, etc). - Hundreds of displays can be linked to the Vessel server. Enabling a completely immersive experience. Imagine every single display on the Enterprise-D Bridge coming to life. - All aspects of the console display libraries will be open source. - Full Audio and Video interaction will be supported. "Sir we are being hailed" ... "On Screen!". The coms officer will have their own audio channel and can use a bluetooth headset to listen to com traffic, and when needed, redirect it to the main audio. - Support for multi-channel DMX and events. Lighting via color, intensity. Hull hits, Shield hits, Alert status. Loss of Power, etc. - Support for classic X10 protocol events (All Lights On, Unit Off, Dimming, etc). this is for people who want some interactivity, but at a lower price point. - Occulus Rift will be supported. - Campaigns with thousands of dynamically generated star systems. What lies beyond? Also, it's important to note... That every aspect of the world/galxies/planets/vessels are designed in XML. Every single aspect. Consoles, internal systems (engines, shield generators, weaponry). And though the initial game (Horizons) will be set in space, the Hydra engine is designed to support any type of vessel (Submarine, Tank, Mech). And vessels of different crew sizes can work together or against each other. As an example... Think of a Battlestar with 6 players manning the bridge... And 4 teammates manning individual Vipers. Obviously, we are focusing on Space for now. Are end users going to be able to purchase the software? From what I see it's looking pretty awesome and would be a good addition, or, maybe even a replacement for Artemis at the conventions that which we run Bridge Simulators. 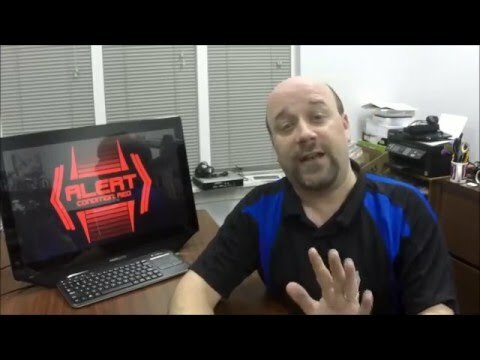 Am I understanding correctly that the software is going to be used with the Enterprise D Restoration Project? Yes this will be available for purchase once it is released. We will be doing a Kickstarter to help fund the games completion once we get far enough into development to really put up a good presentation. Going to conventions will help raise awareness, too. We are getting close. A lot of the bullet points listed above are fully functional. We are not in a rush, but have no intent on slowing down. And as I mentioned we've been quiet, only because I (selfishly) want to get everything to a certain level of quality first. We have worked with the Enterprise D Restoration, and would be happy to help them meet their goal. We showed the Enterprise D version of the Hydra sim during a Star Trek panel at SDCC, and people loved it. We even had a young captain raise the shields and try to evade the Borg. At this time we are not working with the Restoration project while they are focusing on static exhibits. The HTML clients are just one aspect of the game engines connectivity. There is a full API for data interchange to and from other hardware/protocols. Some are coded specifically for 'classic' protocols like DMX or X10, JSON and so forth. Very cool, do you allow for multiple "main screens" or out the window views? That's one thing I always wanted, we have a number of large format TVs that we can spread around the classroom we use as bridge to supplement the 120 inch projector display. I always though it'd be cool to put several displays around the room to represent windows, including one behind us for a rear view. Yes, or you can have networked clients running that allow for many alternate external views. Using TNG as an example... a view out the back of the conference room, or the view out of Ten Forward. All 'views' are defined and named as part of the Vessel XML Schema. Just curious, Auric, but have you tried using a Raspberry Pi or BeagleBone Black (using Chromium or Firefox) as clients for Hydra? Yes! The current revision of the Pi handles passive screens just fine (secondary displays, like planetary system or alert status, etc), as well as some less-active screens. It tends to struggle with screens with a lot of content (like tactical). The whole design of Hydra is really centered around the fact that all these devices will get more powerful and cheaper as we go. Enabling people to have very robust setups with dozens and dozens of displays engulfing them if they wish. If you count the number of LCARS panels on the Enterprise D (including panels like the turbolift display), you are well over 140. Hydra is designed to support that *per ship*. So when I say 64 human controlled ships, think of *each* ship having the ability to host the number of screens I described above. Nice. I've got 10 Raspberry Pi's and a Beaglebone Black. Good to know they can be used. I've also have some of the Android MK802's. Haven't loaded Linux yet on them. Sounds like Hydra is going to make some awesome LBE's. @ kwadroke; That's exactly why I'm looking at this particular software as the front-runner for the LBE I'm trying to build. Its flexibility and ability to have the quantity of displays (and controls) lends itself to the vision I have in mind. I'd really like to simulate larger ships with larger crews. 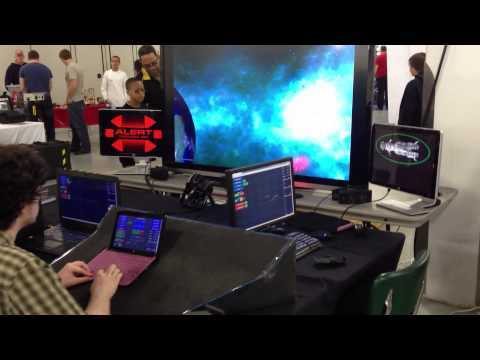 I'll need all those displays and controls to keep 7+ simultaneous users/players busy running a ship. I can't wait to see what this engine will eventually be capable of!! The video isn't perfect (It's a bit dark and sometimes not in the best focus), but we wanted to share it anyway! Very nice. Hope to see it in person sometime soon. Here is the first wave of images from Shore Leave (much more coming)! 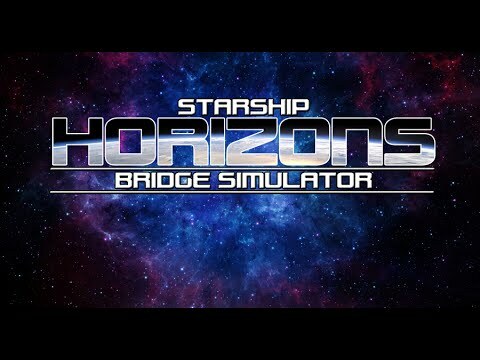 StarFleetComms interviews our lead developer about Starship Horizons and the road ahead! Great guys! Be sure to check it out! Just tried horizons by myself all stations, not bad. Picked it up pretty good. So far pretty fun, good looking, first mission I need more people. Many enemy missiles. Going to be with some of my crew this Friday so we will be trying it out. I hope help in finding bugs, should have a bigger crew soon to test. Lots more coming during the Alpha as well. Glad you are enjoying it!